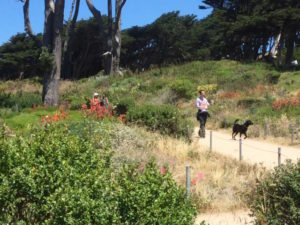 UPDATE: See below for a couple of pix from a day with perfect hike weather, great conviviality all around, and Garbo the dog! Let’s do it again! 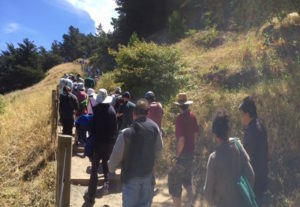 Last year AASCEND‘s hike at Land’s End was a lot of fun and a great chance to get to know each other better. So in response to popular demand, on June 17 we’re strapping on our walking shoes and heading out again. 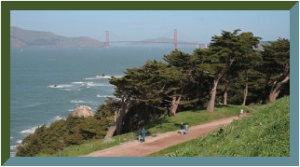 The destination is San Francisco’s beautiful and easy-walkin’ Lands End. Come revel together in the calming natural world so many autistic people enjoy.